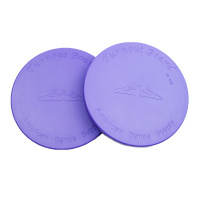 The En Pointe Professional Turning Board is a wonderful training tool for dancers who want to master the technique of turning. Through regular practice, you’ll be better able to maintain your balance and find your center, strengthen your body to hold proper body and arm positions, achieve perfect head spotting, and turn with confidence! Compared to other turning boards, our innovative curved sides more ergonomically match the shape of your foot, offering better support where it’s needed most. Your foot isn't shaped like a rectangle. Why would your turn board be? Important - This product is not a toy. Use only with proper supervision by an adult. Designed for use on wood or marley floors, supporting a dancer of up to 175 pounds in weight. 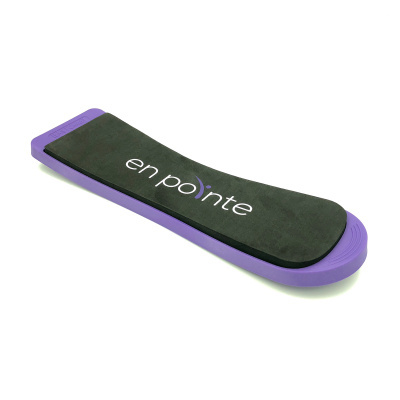 The En Pointe Professional Turning Board measures approximately 11 inches long and 2.75 - 3.25 inches wide.